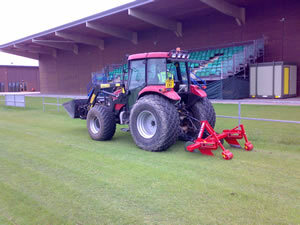 Having good drainage is the key to having any quality surface. 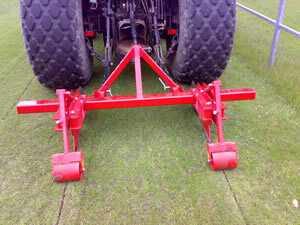 There are two types of drainage, primary and secondary. 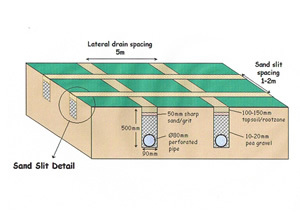 Primary (shown below) consists of lateral drains connecting to a main drain. Secondary drainage, either by gravel banding or sandbanding, can be installed if you get standing water near the surface. 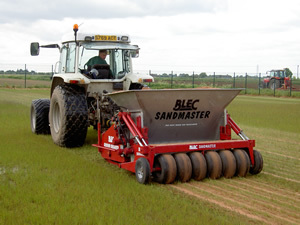 The photo shows the Blec Sandmaster as we sandband a local school playing field that was holding surface water. This is our new turf mole drainer which allow us to break up the hard subsoil base that can occur on sports pitches over time.